I don’t watch television much, but when I do, my favorite shows are “Finding Your Roots” on PBS and “Finding Lost Family” on TLC. To those who know me, or have read the Jamieson Legacy series, where my characters track down relatives through genealogy research, probably aren’t surprised by this fact. Uncovering mysteries in family trees is my passion. But recently, I was surprised when a young woman contacted my daughter via Ancestry.com. It seems they are cousins after results of their DNA tests were posted. How close they are on the tree is sketchy, so my daughter called me. The woman’s mother passed away and she doesn’t know her father. My heart is breaking for this unknown relative, but I’m determined like the hosts of Finding Lost Family, to connect her with her lost family. Do you have any interest in genealogy? Check out Guilty of Love, Book 1 of 8 in the Jamieson family series (Christian romance). Download for .99. Also, if you’re a family researcher, share some surprises you have stumbled upon. Pat Simmons is the author of more than thirty titles, including her newest release My Rock, Book 1 of the Caregivers series. She is a self-proclaimed genealogy sleuth who is passionate about researching her ancestors, then casting them in starring roles in her novels. She is a three-time recipient of the Romance Slam Jam Emma Rodgers Award for Best Inspirational Romance. Pat describes the evidence of the gift of the Holy Ghost as a life-altering experience. She has been a featured speaker and workshop presenter at various venues across the country. Pat holds a B.S. in mass communications from Emerson College in Boston, Massachusetts. 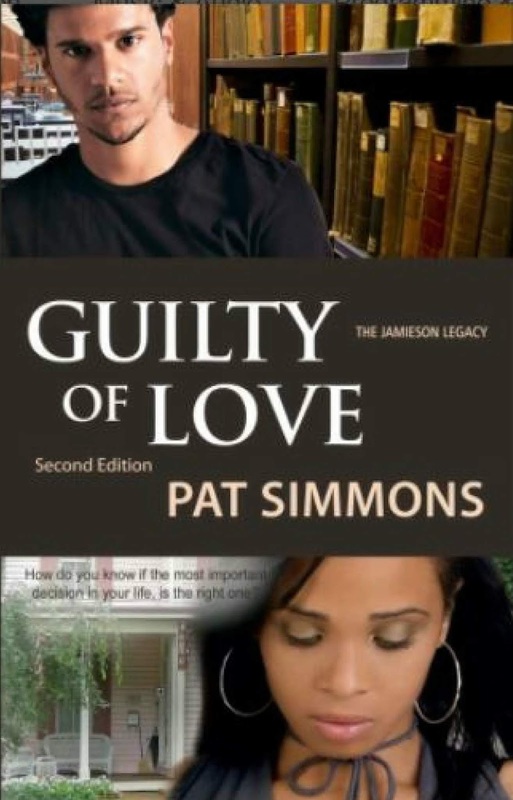 Visit her at www.patsimmons.net and sign up for her monthly newsletter and get Guilty of Love free. I am very interested in genealogy and plan to purchase ancestry.com soon. Best wishes on your newest release! How interesting. Thanks for sharing. I've been curious about my ancestry, but I have never pursued it. Years ago, I did some research into my family and it was quite interesting. Good luck on the newest release.